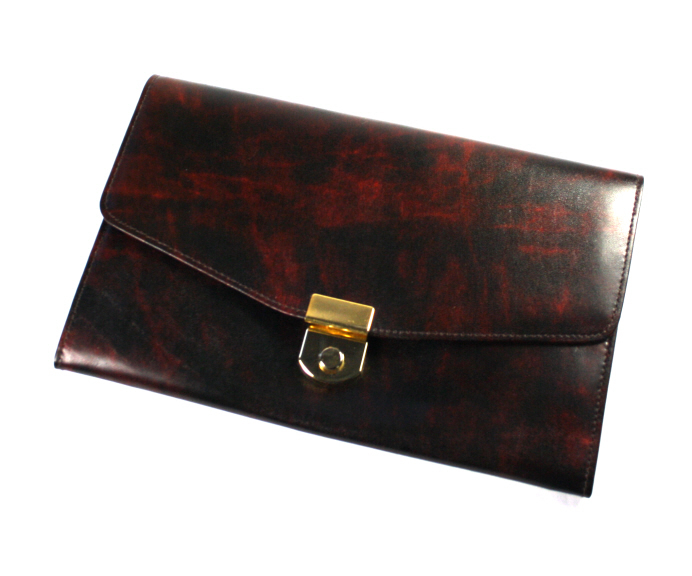 An extremely smart Travel Wallet document case in top quality mottled dark brown leather. 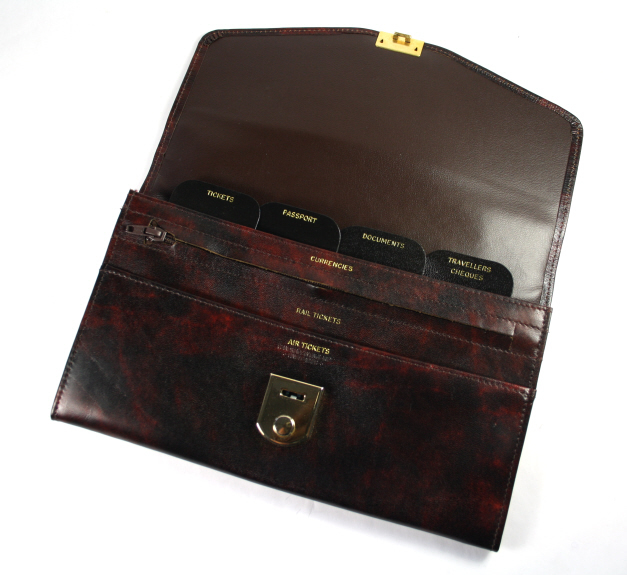 Each case has pockets for air/rail tickets, passport, documents, travellers cheques and a zip pocket for currencies. A great accessory for travellers who need to keep their documents handy. Outer packaging not perfect although we do have a few 'good' boxes, so if your purchase is a gift please send us an email on completion of order and let us know.